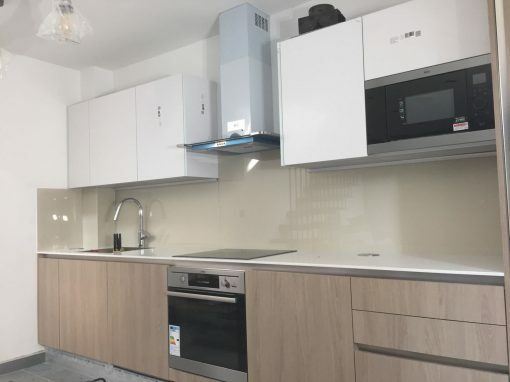 Opting to install glass kitchen splashbacks from Southern Toughening Glazing Ltd is a good choice for any Kingston homeowner. 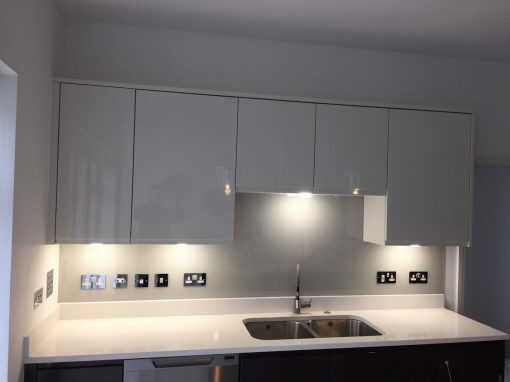 Whether you choose kitchen splashbacks to cover the area behind the oven in your Kingston kitchen or extend the glass covering to create an attractive surface along the entire length of one wall or more, you will be pleased by the result both in the short and long term. 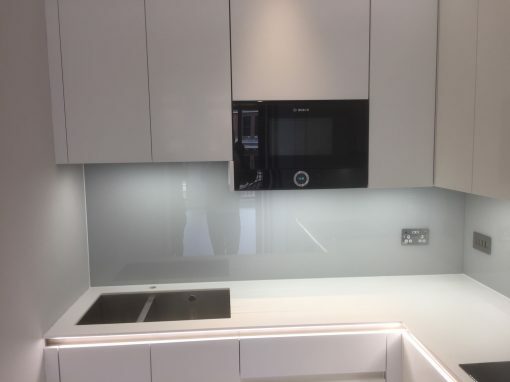 Our glass kitchen splashbacks are a highly hygienic choice for the Kingston property owner. Glass is non porous meaning that with a quick spray of kitchen cleaner your kitchen splashbacks will be clean and hygienic. Unlike tiles where the grout can quickly discolour and be difficult to clean, glass can simply be wiped down. Our glass kitchen splashbacks will prove a durable choice for your Kingston home. Glass kitchen splashbacks are long wearing. They do not stain, fade and are resistant to both moisture and heat. They also don’t date a kitchen like tiles or other wall coverings can. 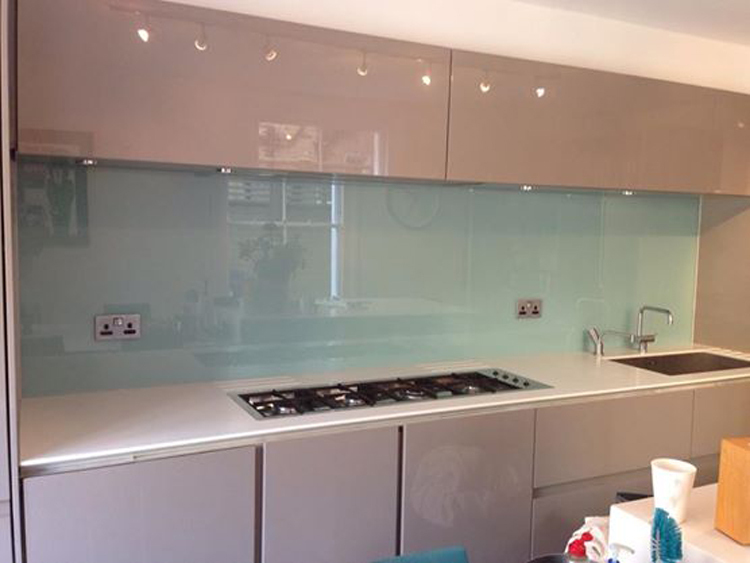 Our glass kitchen splashbacks can be fully customised to perfectly suit the look of your Kingston kitchen. 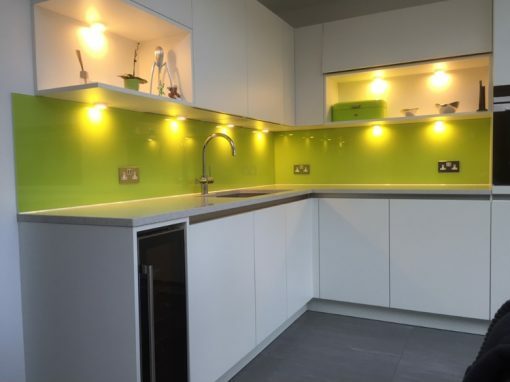 Whatever colour, shape or size you require, Southern Toughening Glazing Ltd can create the perfect kitchen splashback for you and your household.